Not very long ago, the idea of green buildings and architecture was being tossed around like a fancy new thing that was good to have, but not entirely important. Sustainability, it seemed then, was going to be a way of life sometime in the future while designers and architects went about tweaking and adding ‘green’ elements to stay contemporary. Today, it is an inevitable route to stay relevant and practical in our choices of habitat and public spaces towards securing and preserving what remains of our planet and resources. Cutting down energy consumption, pollution and waste are becoming priorities for every city, state and nation, and India is no exception. 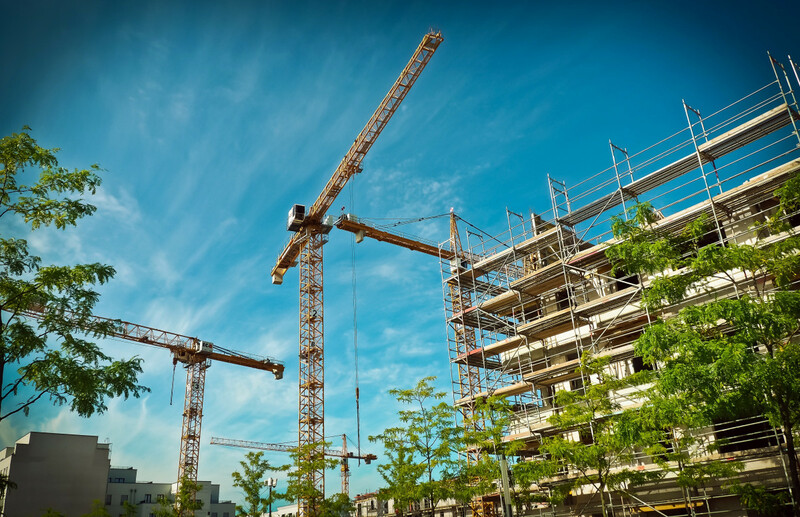 The high pace of construction activity – both residential and commercial – over the past decade has put enormous pressure on the country’s resources, contributed to pollution and created millions of square feet of power guzzling real estate space. No wonder, the idea of green buildings is even more real than before. With the introduction of the LEED certification in India and government push for environmentally-friendly practices, green or sustainable architecture is getting integrated into contemporary building projects. Construction activities that are not in tune with the environment or with widely accepted and environmentally friendly practices, are increasingly being frowned upon. In recent years, the journey toward so-called smart cities and new model cities is also being fuelled by a discourse around what it really means to be green, and why it must be at the core of our urban planning process, going forward. Globally, cities thrive on unbridled consumption of natural resources leading to an ecological imbalance. However, the right kind of steps towards conservation and smart utilisation of available resources can help make modern living and working spaces thrive in tune with nature. Architects and designers must be at the vanguard of this shift towards co-existence with nature. With the conventional approach to creating more spaces that are insulated from nature, we get very little fresh air and light, leading to artificial environments. Such environments are not ideally suited to the increasingly creative and flexible work that today’s business context requires. A sustainable approach towards designing buildings is obviously the answer. But the next big question is, how do we design green buildings that deliver on their promise of cutting down emissions and lowering energy consumption while continuing to be live-able and workable? The simple answer is that building planners, architects and designers must understand and incorporate local aspects to achieve the suitable levels of ‘green-ness’ in their work. This means working with the natural environment of the location and its climate patterns, and putting user needs in mind. The heartening news is that we do not need to go far to get this part right. India’s rich and glorious heritage of monuments, buildings and a variety of enduring structures shows how we once were one with nature. Each region of the country shows how we built homes and public spaces in tune with local or regional climate conditions and using locally sourced material. This resulted in structures that stood the test of time and whatever nature inflicted on them over the years and decades. Sadly, we may not be able to say the same about the modern structures we deem pathbreaking in design and aesthetic appeal. Let’s remember that these modern-day designs have been inspired and led by a globally accepted, but western model of architecture and design rooted to a large extent in broad generalisations about how living and working spaces should be imagined. India’s vast and varied landscape, living conditions and socio-cultural differences are not really compatible with such generic adaptations. Local elements are essential (and most logically suited) to delivering a comfortable and enabling building environment. They help create designs that are adaptive to natural weather shifts without the help of artificial mechanisms that we so easily fall back on these days. Buildings that can be termed sustainable typically make the best use of naturally available resources and smart design tools to manage indoor temperatures and lighting conditions through the course of a day. All this is evidently more difficult than just sticking to the ‘standard operating procedure’ prevalent in the building and construction industry. But with an all-round pressure on conservation of energy and other natural resources, we have this opportunity to recondition our thinking in line with this sustainable philosophy. A growing breed of ecologically aware buyers are demanding sustainability features in the spaces they invest in. Architects, designers and building planners are already responding to this shift. Yet, the pace needs to be quickened. Going green is our big chance to connect once again with the environment and live more harmoniously with nature.